New iPhone 8 Render Shows Vertical Dual-Camera and Rear-Mounted Touch ID Button – Apple Following Samsung’s Direction? This is not the first time that we have seen a dual-camera aligned on an iPhone 8 render. The previous one shows that apart from this optics upgrade, there is more screen real estate but no visual appearance of the home button. However, a new render has popped up and while this one shows the iconic home button, it is present where you will least expect it to be mounted on an Apple-branded mobile device. It is not ‘Apple like’ to place a rear-mounted home button on a next-generation iPhone but keep in mind that the tech giant plays around with several prototypes and then decides which one is the best for consumers. 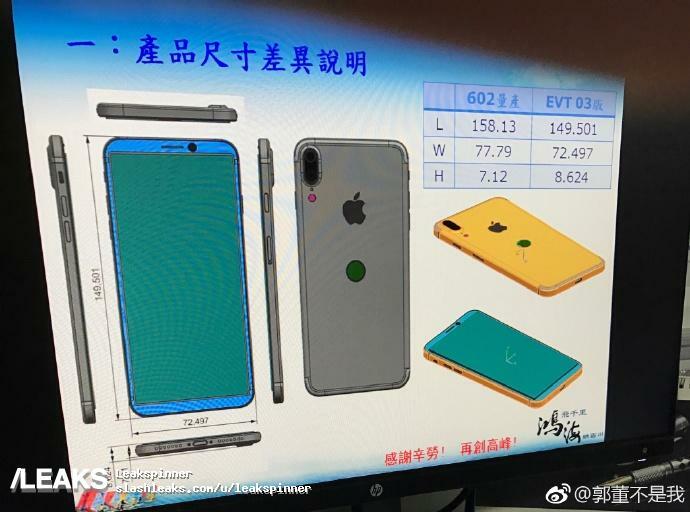 Talking about the iPhone 8, the render via Slashleaks shows a dual-camera system that has been incorporated vertically. We get the feeling that this will greatly improve images when you want to capture them with a shallow depth of field and it will be interesting to see the optical zoom capability of the secondary lens. 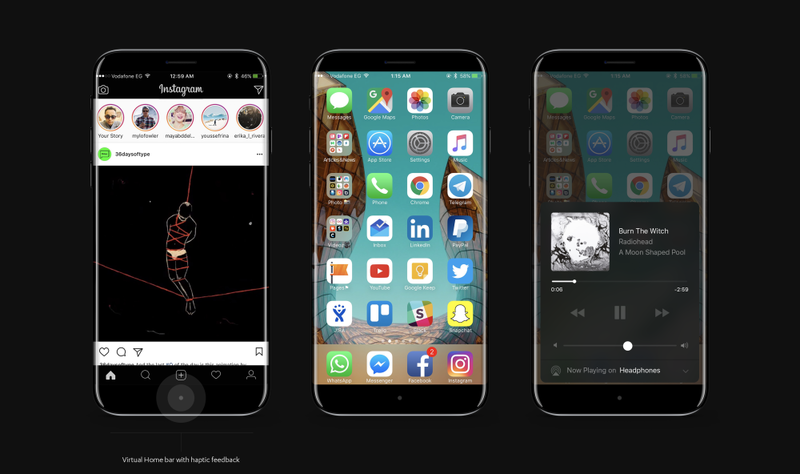 The screen-to-body ratio of this render is extremely high, meaning that customers that plan to upgrade to the iPhone 8 will have a lot of display to play around with. However, the rear-mounted Touch ID sensor seems out of place for us and that is because the company has never placed it there, even on the first-generation iPhone. It is more than likely that Apple is playing around with several prototypes, but we highly doubt that this particular version will be chosen as the final product. Our guess is that the home button will be covered beneath the display, thus increasing the screen size considerably. With a large percentage of the iPhone 7 and iPhone 7 Plus covered by bezels, it unnecessarily increases their size. In addition, the upcoming iPhone 8 will also challenge the likes of Samsung’s Galaxy S8 and LG’s G6 in terms of bezel-free form factor. What do you think about this render? We personally hope Apple does not choose this one, but you should tell us what you think in the comments below.